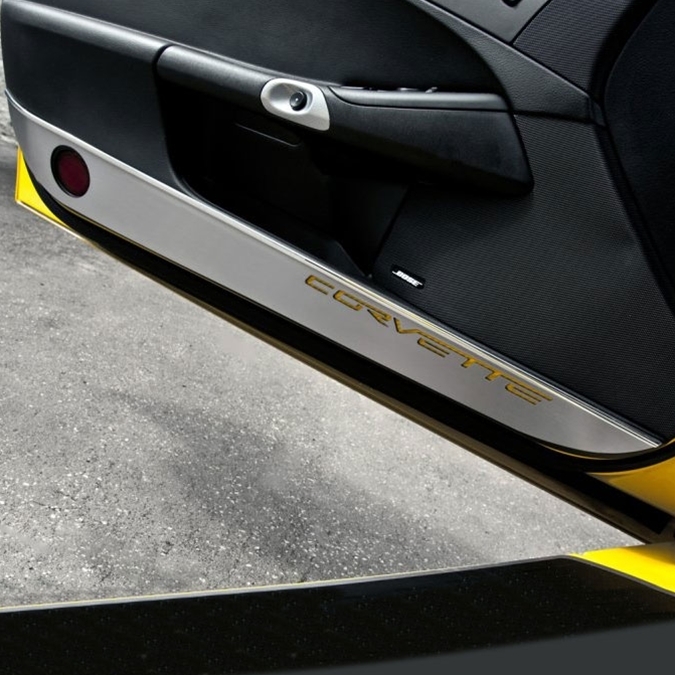 Dress up your Corvette with our GM Licensed Brushed Stainless Steel Door Guards with Corvette script. These trim pieces are designed to fit all 2005-2013 Corvettes on the inner door panel and add a clean stylish look to your Corvette interior. Fits all 2005-2013 Coupe and Convertible Corvettes. Brushed finish with Carbon Fiber Corvette Inlay. Yellow, Red, Blue and Standard Black Carbon Fiber. Will not tarnish, fade or rust. Laser cut, for a precise finish. Please allow 3-5 business days for these to ship, they are made to order.